5.4 oz 100% preshrunk heavyweight cotton. 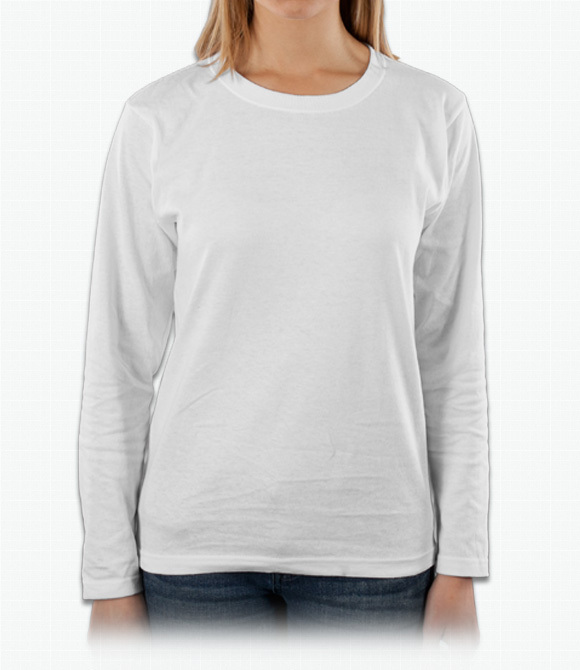 Double-needle stitching on neck, sleeves and bottom hem; shoulder-to-shoulder taping; feminine cut with tapered, hemmed sleeves; seamless 5/8" rib collarette. Great to slip-over a short sleeve or as a standalone shirt. Durable with high quality material. Perfect for chilly days.